If you are now all set to buy a luxury apartment in Bangalore, maybe you have somewhere added some considerations in your mind which will help you to choose the right one. Today, when Bangalore’s prime residential areas have shifted closer to the major commercial zones in the city, it becomes very important for you to choose wisely your new home in any such location. Electronic City is one of the most commercially developed regions in Bangalore. And the giants in realty market are also competing for their survivals here. This cut-throat competition is indirectly providing benefits continuously to the customers, users, and homebuyers. While selecting a new home, location becomes a major factor as it eases your life by providing convenience in providing daily essentials. Electronic City is the home of numerous leading ITs, BPOs and SEZs. They are providing countless white collar jobs and exceptional career growth opportunities. The remarkable achievements that this region has gone through with has also inspired the governments here to develop the infrastructure around this region. There are excellent wide roads, expressways, flyovers, National and State Highways around Electronic City and the smooth connectivity offers rapid traveling to the residents living in this region. For quality housing, there are luxurious apartments which are loaded with numerous world-class amenities and top facilities. There is no lack of quality education, best medical facilities and shopping destinations in this place. 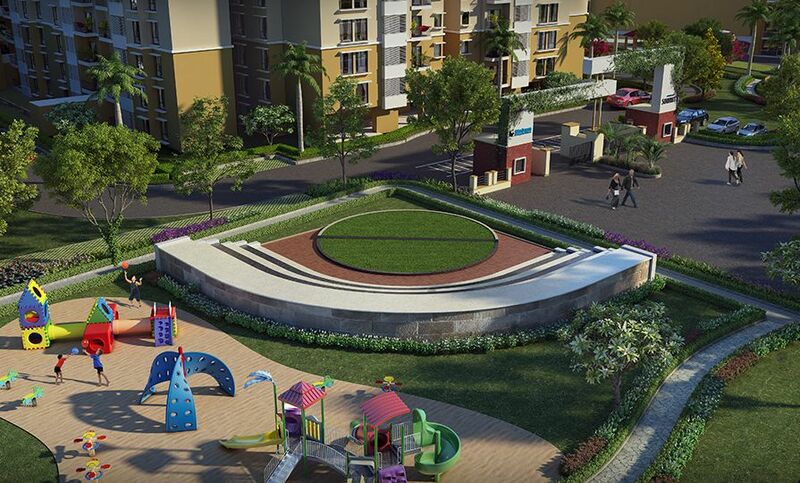 Lifestyle is at its best in Electronic City. A new residential project Shriram Summit is currently catching all the attraction of the luxury homebuyers in Bangalore. The marvelous project has been completed in 3 phases. For phase 1 and 2, possession for the homes will be available from December 2018. Total 947 apartments in the variants of 1, 2, 2.5 and 3 BHK are available in the 17 blocks of this 15 acres beautiful township. The exact location of this project is Electronic City Phase 1, South Bangalore and it is a renowned commercial district of the city. Apart from that, many renowned schools, hospitals, shopping malls, restaurants, cinema halls, and other important public places are available in plenty near Shriram Summit Bangalore. The township is a themed based integrated property and it usually interacts the game lovers as there are several courts available for the games like tennis, badminton, basketball etc. Other external amenities including swimming pool, crèche, amphitheater, maze garden, meditation room, clubhouse etc. are also available here. Price starts from Rs. 54.08 lakhs onwards for the luxury homes available in this grandiose property.